If you have been involved in an accident, insurance is one way to get back to normalcy and start life anew. But fighting for a claim of insurance with your insurance company is no easy task. One needs to consult an advocate to fight for your insurance claims. You can fight the case on your own but you will waste time and money without the help of the advocate. One crisis situation is when your car suffers a hit and the errant driver, as well as his insurance company denies responsibility for the accident. In such cases, the location of damage on your vehicle can help make for your case. The most common type of collision in which location of damage to the car is needed to prove the case is that of collision of right angle or T-bone collision. Right angle collisions can happen at traffic lights or stop signs when someone makes a left turn facing oncoming traffic or a person is pulling out of a driveway. Consider the situation when you are driving and suddenly someone pulled out of a drive way towards your right and broadsided you. Now, you need to prove that the other driver was at fault by the location of the damage. The simplest way is if the damage is on the side of your passenger seat. In such as case, it is pretty evident that the driver was not looking anywhere while he was pulling out of the driveway and caused the accident Cases. But, sometimes, even such a situation is not simply straight forward. For example, if the other driver tried to pull out of a driveway even before you reached the spot and collided with you such that damage is on his driver’s side and your front side, the evidence is not apparent. In fact, evidence points to holding you responsible for the collision. The cause of collision may be because the driver pulled out of the drive way too fast before you could prevent collision. But evidence points to a situation in which the other driver had already pulled out of the drive way and was waiting for clearing of traffic, when you without proper observation rammed into his car. A second example is where you are driving down a straight road and a vehicle before you make a left turn. In such a situation, most drivers will make a sharp right turn to avoid the cutting down of driver in front of you. In this situation, if the damage to your car is on the front left side, it indicates that you are not responsible and was only trying to prevent collision with the left turning vehicle. If the damage was to the front right corner of the other driver, evidence was that the latter was not paying attention and caused the collision. A third example is an accident at a traffic light. If someone jumps a red light, he will collide with a car on the broad side. The innocent driver was just following the green light perfectly according to rule while the errant driver jumped the light. Damage will be on the front of the errant driver’s vehicle and to the side of that of the the innocent driver. Take the advice of the advocate in arranging your case using information about location of damage to the two vehicles, details of witnesses, clear pictures of damaged vehicles and the accident scene. 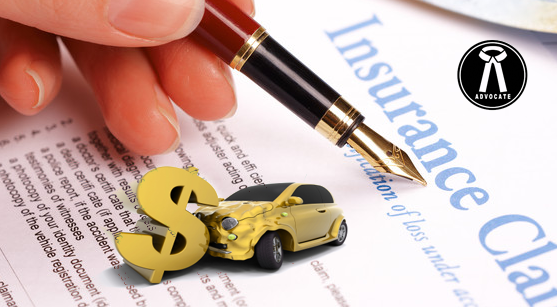 Why Vehicle Insurance is Essential?